Chicken is a food many are vary of when it comes to food poisoning; how we prepare it, where to store it, how to cook it etc. Cooking chicken can bring fears of Campylobacter poisoning, which is a type of food poisoning caused by cross-contamination causing abdominal pain, dehydration and sickness. When you’re popping in to a local chicken take-away for a cheap and cheerful lunch, the last thing you want to worry about it whether you’ll end up ill for the next week. But if you’re a regular at this Nottingham chicken outlet, you’ll probably be opting for a different one in the future after the following revelations. Maryland Chicken, a popular take-away joint on Lower Parliament Street, Nottingham, has paid a total of £27,731 for prompting an increased risk of food poisoning. The poor conditions were discovered when Nottingham City Council environmental health officers visited for an inspection about two years ago. The inspectors found buckets of raw chicken, a greasy yard and open vats of fat exposed to vermin, as reported by the Nottingham Post. District Judge Tim Devas handed operators and traders Bash Foods 3 hefty bills totalling to £27,731; a fine of £16,000, costs of £11,611 and a government surcharge. They were given 18 months to pay the total after admitting five breaches of food safety and hygiene regulations, which were committed between October 2015 and March 4th 2016. Area Manager of the food outlet Mohammed Miah, 35, admitted to two offences and was fined £750 with a £75 surcharge when the case was brought to Nottingham Magistrates’ Court. The judge told Miah "Whilst you are responsible as a manager, there is obviously a company above you who take ultimate responsibility. "It is your duty to be seen to be telling your company there are problems and to make sure those problems don't continue." Within the two years, Maryland Chicken received several further inspections to see what action had been taken, yet inspectors discovered little improvement had been made. 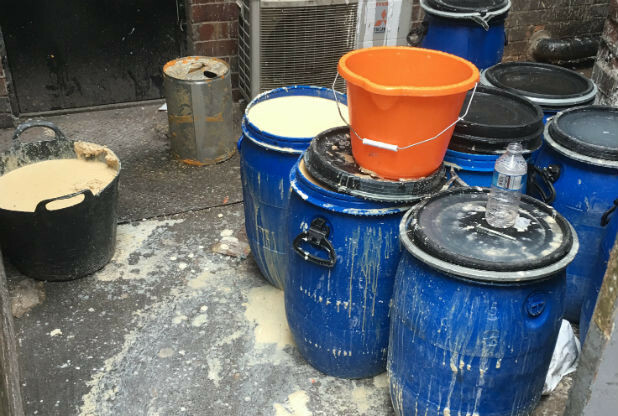 Nottingham City Council’s food operations manager Paul Dales said: "Hygiene standards at these premises were very poor and the owners failed to improve even after warnings. The risks to consumers from poor food safety management are widely recognised and this court fine reflects the lack of diligence shown by the food business." An aspiring journalist, Laura is our content writer intern. Pop-punk gig-goer and drag queen enthusiast, Laura is working her way into the industry with an English A -Level and love of writing about anything and everything in tow. Canned Food - Not Trendy Enough For Under 25s? Are Avocados as Healthy as we Thought?